Somerset Mall | Shooters Inc.
Palisades Nuclear Plant | Entergy Multi Media Corp.
Fluor Fernald Nuclear Plant | Fluor Fernald Inc. 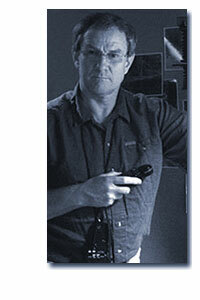 Since 1984, I have been actively involved in cinematography. Based in Detroit, Michigan my projects as a Cinematographer include television commercials, feature films and narratives, aerial photography and documentaries. Each project has given me the opportunity to grow as a cinematographer and to gain a deeper understanding and respect for my craft. Between l975 and l984, I was a service technician for Victor Duncan, Inc. in Chicago and Detroit, where I gained considerable knowledge and experience with all camera equipment used in the motion picture industry. In l984, I opened Stratton Camera Inc., a rental and service business that has achieved a widely respected reputation for providing high quality film and digital equipment and impeccable service.